8 Steps to a successful website. A new design or a redesign. You are here: Home / Choosing a website designer / 8 Steps to a successful website. A new design or a redesign. Are you thinking of having a website? Maybe you have one and are uncertain as to whether it’s working for you or not. There are all sorts of reasons people have websites. Here are some reasons you might have one. If you do have one or are planning to have one make sure it fulfils its purpose. Most sites use a combination of these objectives. This is very common, everything from online magazines, online company brochures, to personal photo galleries. Basically you\’re not trying to sell anything directly, maybe trying to educate, or just trying to help people find out more about you, your knowledge, your product or service. Generally referred to as e-commerce. This can range from an online shop selling hundreds of items to a single item with a PayPal button. Collecting names on a database, the idea being that these names can be used for selling to at a later date. The most usual system is with a registration form tied in with free offer or something similar. Giving your visitors the opportunity to leave their details so they can be kept up-to-date with whatever you have to offer, generally by email. Registering, generally by payment, to receive exclusive material. Reinforcing or building your brand or image. A sophisticated website can make your business look much bigger and better than it really is. If it’s more attractive to visitors than your competitors’ then you’re more likely to sell more, get more web traffic or achieve whatever your purpose is. You want to engage with your customers and have them returning to your site regularly. A common mistake is to assume that your website can fulfil many functions. Sometimes it can, but if you’re running a business your primary goal is conversions… people buying your product or service either directly or some time in the future. A name that reflects your core business is the best scenario. If you sell two products, give them separate websites and link them together. If you can’t change the name, separating products and services will also gain web traffic by having different keywords throughout content and code, and also appear in different listings within directories. You might be tempted into thinking of your website as a collection of pages, this is how people actually perceive it. Think instead of the overall structure of the site and simplify it, find its underlining patterns and organisation – its architecture. This way you’ll end up with a website that is easy to navigate, easier to maintain and easier to build and expand upon. Start with content… identifying different types of information, topics, links… and organizing accordingly. A simple flow diagram should be drawn up to see if it all makes sense and pathways are logical. The user will want information on your site and you need to show the best route to get there. A database-driven website takes this one step further. All content is drawn form the database into a ‘skeleton’ website. This has many advantages such as adding content without accessing the pages, using the same content in different places, collecting, correcting and updating data and also changing the visual design without destroying the content. It’s OK getting high rankings in Google and other search engines but how do you keep visitors on your site? Research suggests that they make up their minds within 5 seconds. A strong graphic design presence is therefore vital. My advice is to make yourself DIFFERENT from your competitors. Make sure you communicate your message and reinforce your brand and that the site is aimed at your potential marketplace. Make sure you look professional. Design doesn’t just mean colour schemes and pretty images, it also dictates the architecture and usability of the website – function as well as form. A website should be built from the ground up starting with keywords and ending with a call to action. The most effective websites are the ones where your customers will come back. A professional designer should always be the first port of call when building an effective website. Many websites only require this amount of attention. For more complex sites a back-end developer is vital for implementing Content Management Systems (CMS), database integration and server integration. You should never rely on a back-end developer to design your website. Customised CMS systems can be very costly so bear in mind that there are many off-the-shelf solutions available. Graphic Design and programming are very different skills. Complete separation of these skills only really works for large projects where a project manager coordinates the team working on the project. I have seen beautiful designs ruined by programmers who cut corners or think they know best. A good website designer on the other hand has a distinct advantage, creating great visual design and structure, backed up by reliable easy-to-maintain code. Work is also much more efficient without the need for meetings, misunderstandings and documentation. The client can also see the design as it is developed in context rather than as a Photoshop file that often can be very misleading. As a designer, the more you know about the technology that’s being used to implement your design, the more likely you are to make effective use of it. Of course, the designer must know which areas of technology someone else should implement. I have several skilled freelance programmers who I use when necessary for such things as database integration. Who is your ideal client/visitor? Where do they live? It’s actually a good idea to invent three or four people who you think would fulfil this role. Make them as ‘real’ as possible and design the website to appeal to them. Aiming your website at everyone will only water down your message and reduce the number of potential conversions. Remember you’re the salesman, NOT the buyer. Copywriting for a website has its own rules for effective communication. Generally copy is scanned rather than read, so information should be easily digestible and as succinct as possible. Remember to give your readers what they want and need rather than going on about what you have to offer. Write your copy for your specific audience. A good designer will be able to evaluate your copy and suggest a professional web copywriter if necessary. Make sure your copy is loaded with keywords too, but don‚Äôt overdo it. There‚Äôs nothing worse than a piece of web copy with the same words repeated endlessly. It might help search engine optimization but it will also drive your potential customers away. You may be familiar with web jargon, but to a newbie it can be a minefield of jargon. How do you get around this? Talk to a good designer who can explain things in simple terms. You may want to include animation and video that you love seeing on other sites, but consider whether it is appropriate for your business and worth the extra expenditure. Also bear in mind that the more complex your website, the slower it will download and often be more costly to update. New gizmos are always appearing on websites – remember, these can make your site look very dated 6 months on. You might be tempted to design your own website from one of the many templates and systems available, but bear in mind, you won’t have the same amount of control and your website will be similar to millions of others. And is it cost effective? Surely your skills and time would be better utilised on what you‚Äôre good at. What good is a website unless it gives you results? Nowadays it’s easy to keep track of visitors and how they access your site using the free Google Analytics. You can track all sorts of information and then make informed decisions on how to tweak your website to make it more effective. This is an ongoing process. To do it effectively you need to also analyze your competitors’ sites. I use a tool called Market Samurai to help me improve client’s websites. 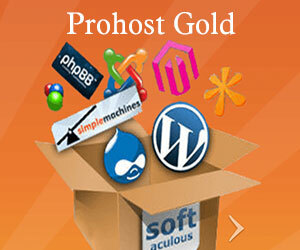 A website also has to work on different browsers and operating systems. WC3, the World Wide Web Consortium has been trying to create web standards but Microsoft and Internet Explorer seem to have other objectives. (A real pain for website designers). Technology also changes rapidly and what might work on a web page might not in 6 months time and so websites do require periodic attention. 8. Increase traffic to your site with SEO and Social Media. As I have mentioned, search engine optimisation should be built into a site from the ground up. Using Google Analytics, Market Samurai, keeping an eye on your competitors and common sense of course, you should be able to tweak the site regularly to keep it up to scratch. Spend time researching how Google ‘reads’ your website. Google is constantly changing tactics and you would be advised to keep up to speed on what is going on. Social media is the current buzzword and cannot be ignored. Not only is it a good networking tool, it’s a useful resource for information and a fantastic way to make your website visible to millions of people. I suggest Ecademy, Facebook, Linkedin and Twitter as a few sites to explore. Local community sites are also useful and I suggest submitting your site and business profile to any directory that might benefit you. Many of these are totally free of charge you’ll be happy to hear. All you’ll need is to take some time to fill in a profile, company logo etc. If you do it once you can keep a copy of it and cut and paste as necessary. If you have anything else you think should be in this list or have any questions you would like to ask, please get in touch. john@promo-design.co.uk Find out more about Promo Design.